Drone Customs on Instagram has been producing quality 1/12 scale items for over a year now. 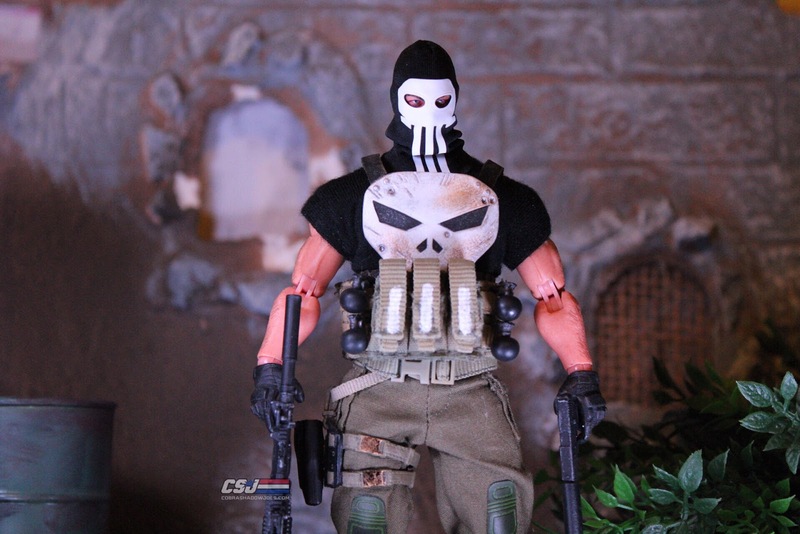 He initially started out with a hooded Punisher and old man Bruce Wayne head sculpts that went over well with the 1/12 community. 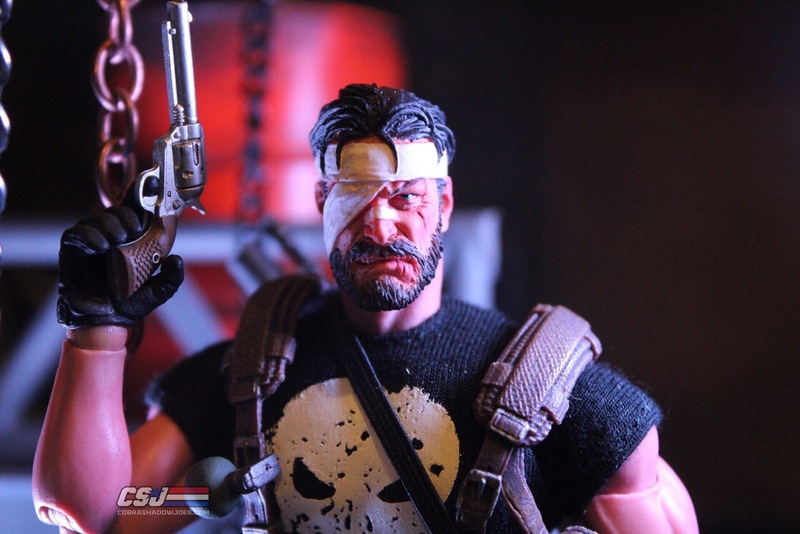 He has since expanded making clothing for the Punisher as well as new head sculpts and wired capes for your One:12 action figures! So far I purchased the 1st edition Punisher head baklava and the classic blue Punisher suit and they are both awesome! 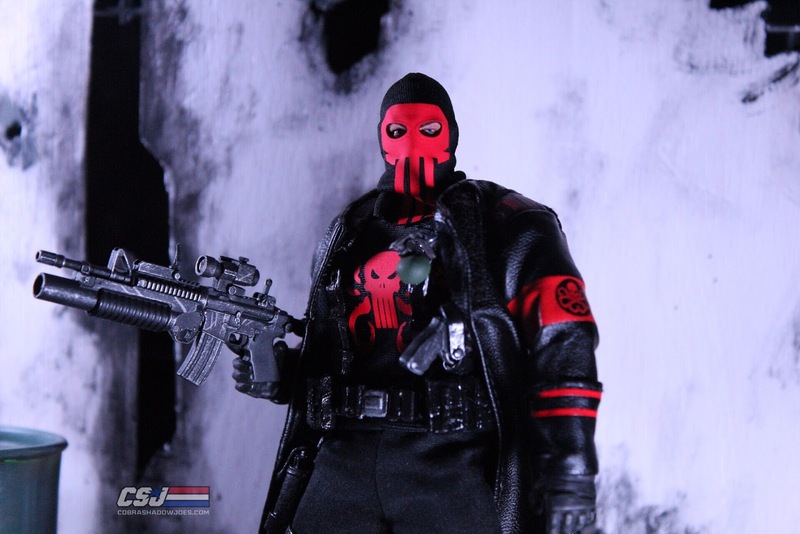 Today we take a closer look at his three new head sculpts and a specific Hydra Punisher T-shirt he created! I have never been a horror movie fan. My imagination takes what I see and runs with it which can be creepy at times. I have never collected horror figures because I always prefer figures with weapons for movie or comic based characters. NECA TOYS makes a lot of horror stuff, but since I am not a horror fan I never owned any figures from their horror line. That brings us to Mezco which despite my lack of affinity for horror is causing me to slowly build up a detailed horror line that I don't mind using precious display space on. I already have Micheal Myers and the Evil Dead 2 Ash figure so I am glad I was able to grab this Jason. 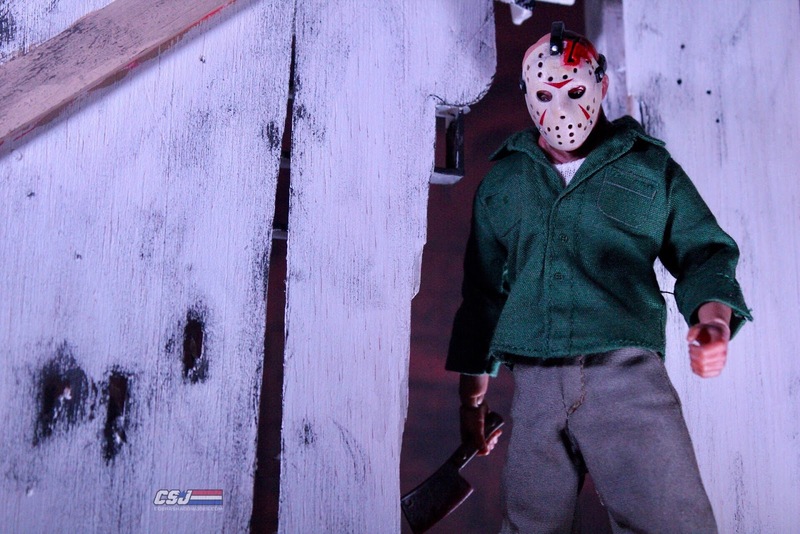 Let's discuss Jason from this casual horror fan's perspective on how well Mezco did with the figure. Catwoman has always been one of the classic badass villains of DC Comics and a formidable foe for the Caped Crusader. Way before Harley Quinn was even a thing Catwoman was holding it down representing strong female villains. The initial release of this figure was fantastic, but the purple on this one just pops. Plus, Mezco made sure to make some improvements which should make many people happy. 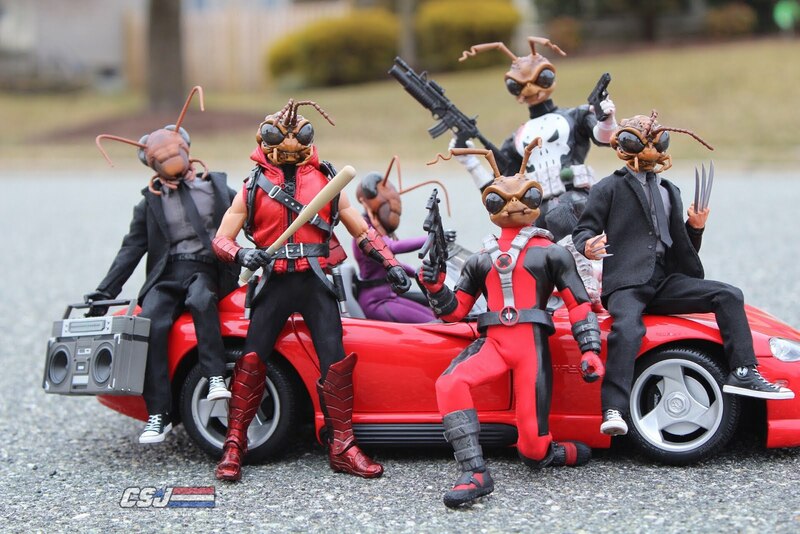 NECA, Storm Collectibles, Super7, and MORE!!!! Last Saturday for the fifth consecutive year in a row Steve and I made our annual voyage up to the Javits Center for New York Toy Fair. It is always a long day with lots of work, but we always find a way to keep it fun. 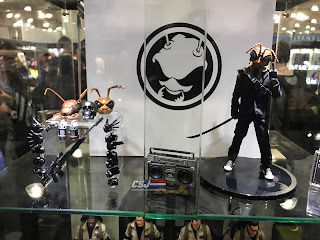 This past weekend we had the pleasure of going to the 2019 New York Toy Fair. This was our fifth year in a row covering the event. Every year the Mezco Toyz press event is the highlight of Toy Fair. Not only do they pump out an exorbitant amount of new characters, but nobody takes better care of their guests than Mezco. Mezco gave out goody bags to all of the press in attendance. They included TWO new One:12 figures and other items as well. The new figures were Mezco's mascot, Gomez, and a Toy Fair exclusive Blade. More on those later!